This exhibition focuses on the rulers of the air, indigenous birds. The over 300 exhibits represent almost all Central European bird species and their habitats. Migration and the different habitats of birds are the main themes of the exhibition. While indigenous species escape to warmer climes in Africa when the days grow shorter, the air becomes colder and food becomes scarce, other birds from Sweden or Finland spend the winter as visitors in our country. Other species are passage migrants and will not stay in our area. The different habitats, whether woodland, meadows or fields as well as the edge of water or the coast require different visible adaptations in the birds. In addition, selected bird taxidermies that have been awarded prizes in international competitions are on display in individual cases. The exhibited specimens are exchanged on a regular basis to give an insight into the current work of our tireless master taxidermists at the Museum für Naturkunde. Seagulls like this herring gull (Larus argentatus) are typical for coastal regions, although they are omnivores and able to survive anywhere where they could find enough small animals or carrion. They breed in large colonies on the ground, which gives them protection from predators. They are reliant on large open areas which are often found near the coast. The first breeding herring gulls in Berlin were found in 2010. 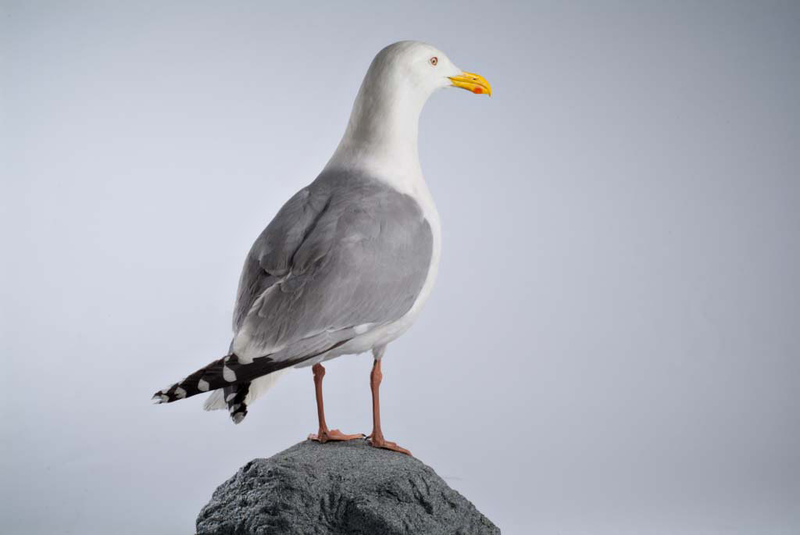 Originally, herring gulls were found along the coasts only. However, they are becoming more frequent in unusual urban habitats. The cuckoo (Cuculus canorus) takes its name from the unmistakable call of the male bird. The cuckoo has grey to rust-coloured feathers and mainly feeds on insects. One of its chief characteristics is its brood parasitism. The female lays her eggs in the nests of smaller song birds that then act as hosts. The cuckoo female no longer cares for the eggs and the hatched young. 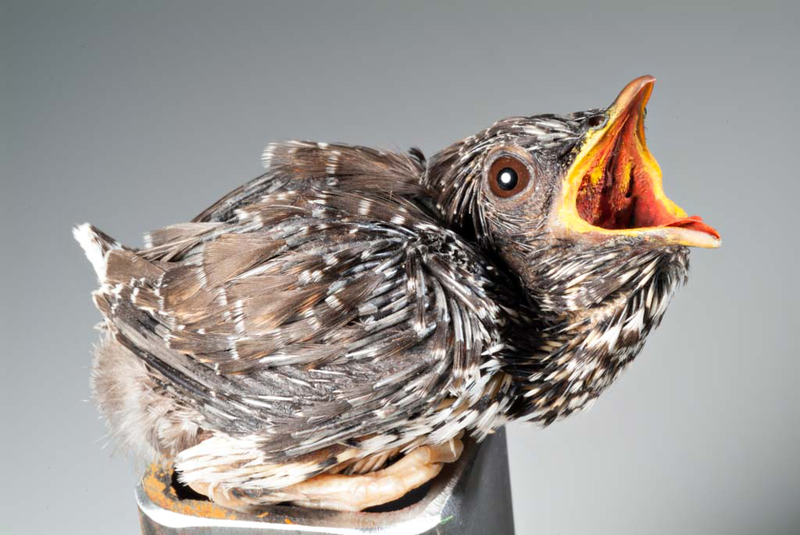 The hosts become adoptive parents and feed the young cuckoo the food it needs. This propagation strategy is a fascinating adaptation to the cuckoo’s short stay in the breeding area. For many animals, human settlements and surroundings, such as fields, roads and buildings provide attractive habitats. Such animals are called synanthropes because they find better living conditions in a human environment than in their original habitats. The sparrow originates from well-neigh treeless steppes in Western and South East Asia. With agriculture and its seeds, it spread all over the world. However, there has recently been a decline in the rural sparrow population because due to modern agricultural methods, less seed is available to birds. 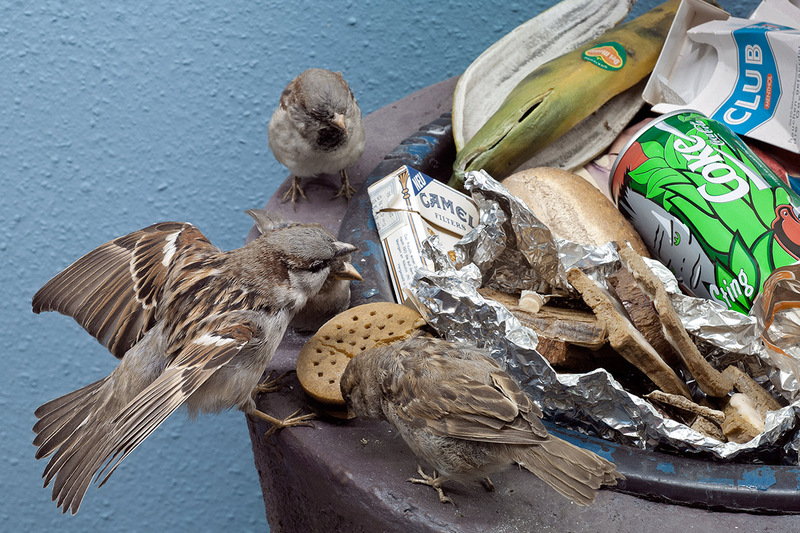 Nowadays, the sparrow is predominantly found in cities. Other typical synanthropes are foxes, rats, racoons and various birds.